Jigging is one of the most versatile and time tested fishing techniques ever invented. 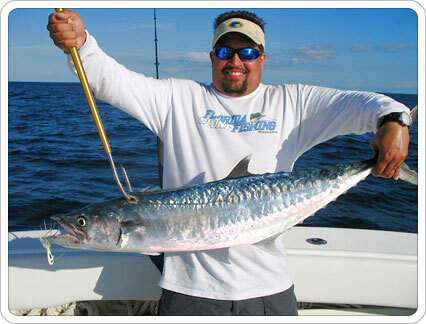 Over the years, this fishing method has evolved and into multiple styles that are still widely used today. 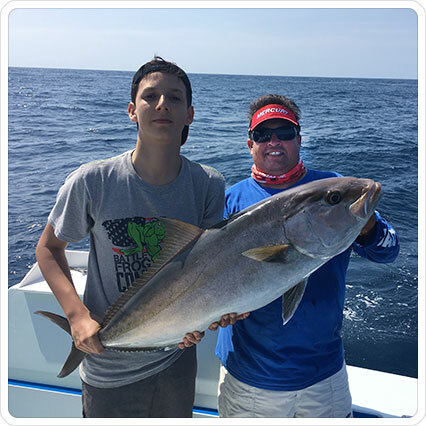 Many years ago before the popularity of live bait took off; jigging was by far the best way to catch trophy fish off the South Florida Coast. Purists have always insisted that the ultimate challenge is to catch a fish using nothing but a bare jig with nothing more than some feathers or a plastic tail. Others, prefer to tip there jigs with a strip of bait adding a scent trail to their presentation. Another widely used and highly productive method is a jig and ballyhoo combination. Head boats still use this rig during the daylight hours and catch just about everything on it. Today, vertical jigging is by far the most popular style. Thanks to new and exciting innovations, vertical jigging has become one of the most entertaining ways to hoist fish up from the deep. One of the things that make this jigging technique different from anything done in the past is that all of the rods, reels, lines, and lures must be synchronized in order to achieve the maximum effectiveness. Innovations such as today’s super braided lines and high speed reel have taken things to a whole new level. Jigs come in a variety of weights, shapes, and color configurations. Special “dancing hooks” attached to the lure using a short piece of braided line give the jigs maximum movement and make them irresistible to game fish. Many of the fish that swim in our waters will readily eat these jigs without the slightest hesitation. The list is a long one, almost too long to mention. 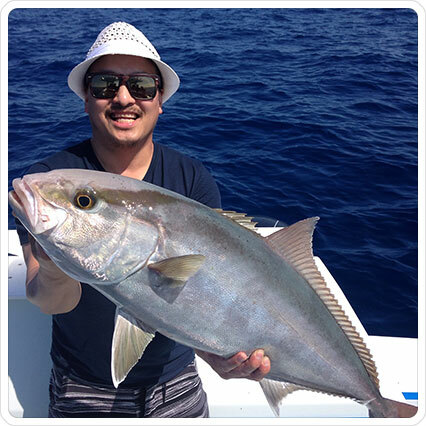 Here are only a few: tunas, kingfish, wahoo, snapper, grouper, bonito, barracuda, amberjack, and many more. Keep in mind that by snapper I mean most snappers, and by grouper I mean most grouper. It is really tough to drop one of these jigs in a fishy area and not get a bite. Experienced anglers have learned how and which lures to fish when targeting certain species and how to avoid unwanted fish. Vertical jigging is not for everyone. I like to call it “full contact fishing” and actually require some stamina and coordination. Because the jig needs to be in constant movement there isn’t much down time. People that are serious about their jigging often wear gloves in order to prevent getting blisters on the hands they use to handle the reel. Here in South Florida most jigging is done over artificial reefs also known as wrecks. Many of the target species will call these wrecks home. The job of the captain here is to basically run to any of these coordinates and position the boat up current of the structure. Once in the strike zone the boat will drift back over the productive area while anglers jig their tails off. The process is repeated again and again throughout the course of the day. On occasion this can be done over even deeper structures in order to target tilefish and warsaw grouper. As you can see, this is one method that is here to stay.